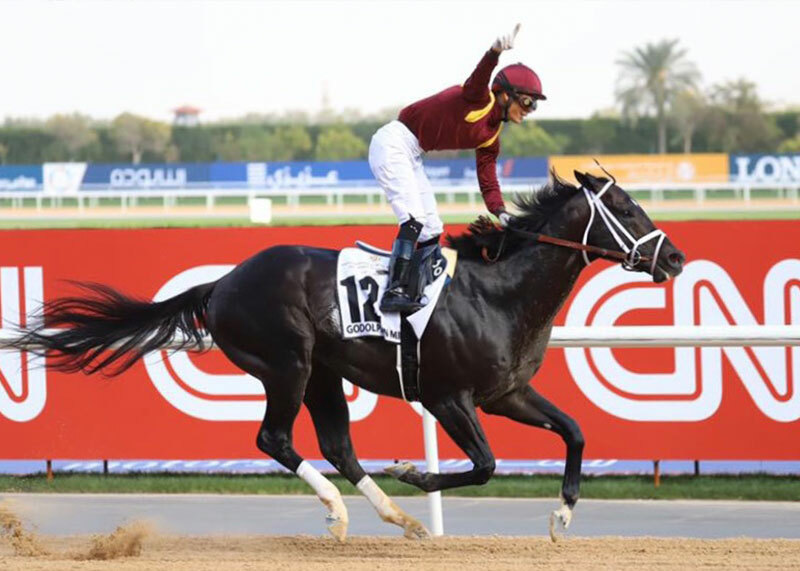 ARCADIA, Calif. (Feb. 24, 2019)–Favored by a mere $104.00, Terry Lovingier’s homebred Show It N Moe It relinquished command a quarter mile out but re-rallied late to take Sunday’s $100,000 Spring Fever Stakes by three quarters of a length under Rafael Bejarano. 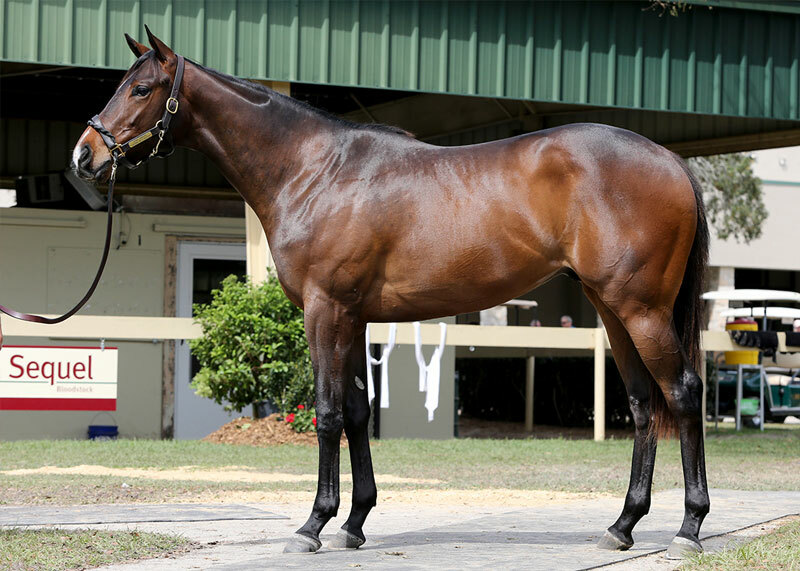 Trained by Gary Sherlock, the 4-year-old California bred daughter of Grace Upon Grace got six furlongs in 1:10.18. 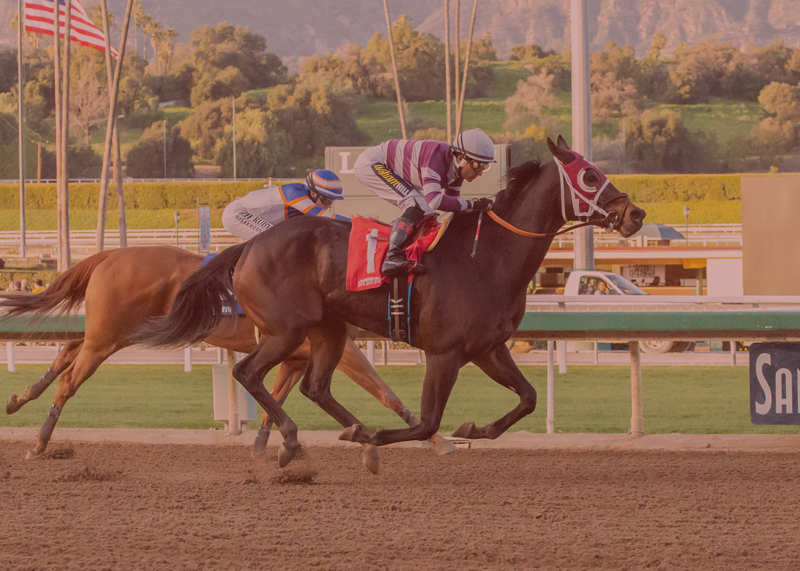 The Spring Fever is part of the lucrative Golden State Series, which is sponsored by the CTBA. 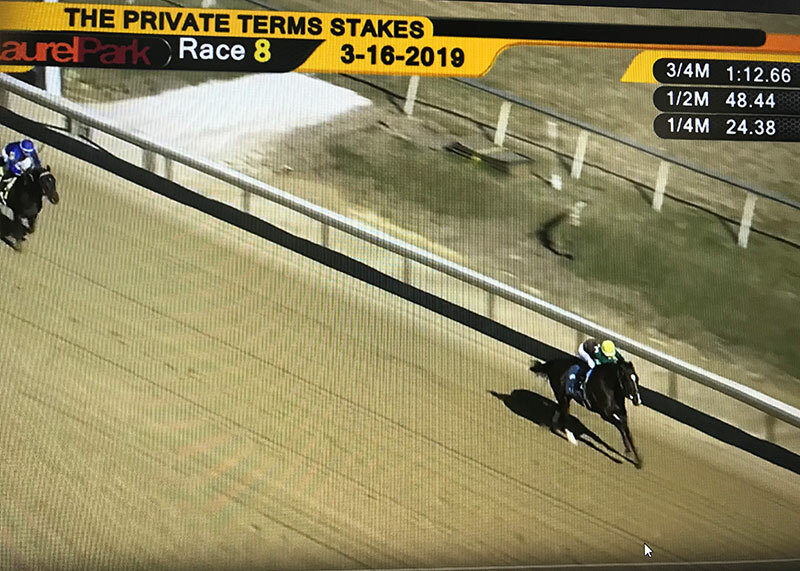 Breaking from the rail, Show It N Moe It broke like a shot and was immediately engaged by Coco Kisses to her outside as S Y Sky, the narrow second choice in the wagering, sat a stalking third. However, heading into the far turn, Show It N Moe It was getting out noticeably and Joe Talamo, aboard S Y Sky, moved to the rail and gained a narrow advantage, only to be tagged in the final 40 yards by the winner. With $81,900 bet to win on her, Show It N Moe It, who defeated S Y Sky in a state-bred allowance going 6 ½ furlongs by 3 ¼ lengths here on Jan. 10, was the actual even money favorite in a field of five California-bred or sired older fillies and mares and paid $4.00, $2.20 and $2.10. Owned by Tom London, Lovingier and Eugene Zondlo — and bred by Terry Lovingier — Show It N Moe It, who is out of the Ide mare Robotica, picked up her second stakes win and improved her overall mark to 19-6-4-4. With the winner’s share of $60,000, she increased her earnings to $435,604. Owned and bred by Nick Alexander and trained by Phil D’Amato, S Y Sky ran a huge race in defeat, finishing 4 ½ lengths in front of Coco Kisses. The second choice at even money, “S Y” paid $2.40 and $2.10. Ridden by Joel Rosario, Coco Kisses, who dueled early with the winner, was third best on the day. Off at 7-1, she paid $2.20 to show. Fractions on the race were 22.25, 45.63 and 57.58.